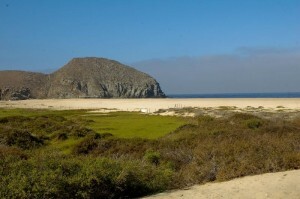 If you are interested in buying a house or raw land in Todos Santos, do your homework and chose your agent carefully. Ricardo Amigo, AmeriMex, A. Paraiso Realty, Coldwell Banker, Encanto, and Milagro are the most well known real estate agencies operating in Todos Santos. 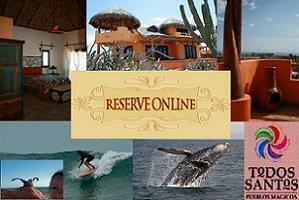 There’s no licensing required for real estate brokers in Baja and little regulatory framework. Reputation is important (and whether the person giving the referral receives any benefit, direct or indirect). Like in any small town, all of the “locals” have strong opinions about everything, with respect to brokers this is typically shaped by their personal experiences and, whether rightfully or wrongfully gained, the individual’s reputation. While you should digest all information your receive as locals with a grain of salt and reach your own conclusions, unfortunately there are some horros stroies. Brokers Baja have been accused of selling property without disclosing all the facts to buyers unfamiliar with the local laws, customs etc. Although arguably falling short of what we may think of as ‘fraud” in the US (or not? ), people don’t always end up with what they bargain for. Full disclosure is a legal requirement in the US but the standard (by law and by custom) is quite a bit lower in Mexico. Issues of inadequate information range from issues with water, title, legal conflicts, easements, or, the subject of this post, lots being sold in environmentally sensitive areas to people who have absolutely no clue what mess are stepping into. I can tell you with confidence, if you intend to build on the dunes, beyond any legal or structural repurcussions, you will not be popular in the community of Todos Santos. Although you can buy oceanfront property, the vast majority of the community in Todos Santos strongly opposes building on the dunes. The owner of one such ocean front lot has the privilege of introducing himself as “I am the guy that everyone in town hates.” And this is a small town where it’s difficult to avoid eye contact. Why would you want to with such an incredibly diverse and eclectic group of people? Todos Santos has some of the most beautiful and pristine sand dunes you could find in such proximity to a developed area. Not only they make you feel like you stepped back in time when you stroll on the long sandy beaches, they are also a critical habitat for certain species, most notoriously they serve as nesting grounds for some endangered sea turtle species. Additionally, the dunes serve the purpose of protecting the land against potential ravages by storm waves from the sea during major storms and hurricanes. Building on the dunes not only puts the community at risk, but disrupts the normal nesting habits of endangered Olive Ridley and Leatherback turtles that nest on our beaches. Losing a house built on the dunes is also a very real risk when building in such close proximity to the ocean on unstable ground. The storms and hurricanes can cause huge waves and very strong winds to hit the coast. Beware of real estate agents who will try to minimize the impact and dangers of building on the dunes. In 2005 a group of committed citizens in Todos Santos were already working to prevent a major development project from destroying the dunes. Below is a report they submitted to then Mexican president Fox.